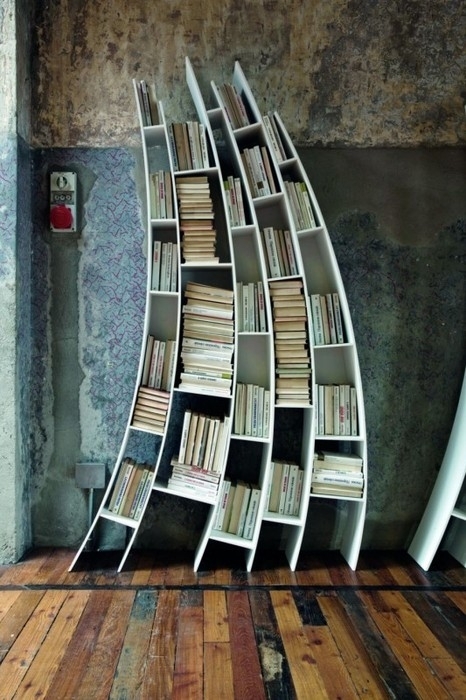 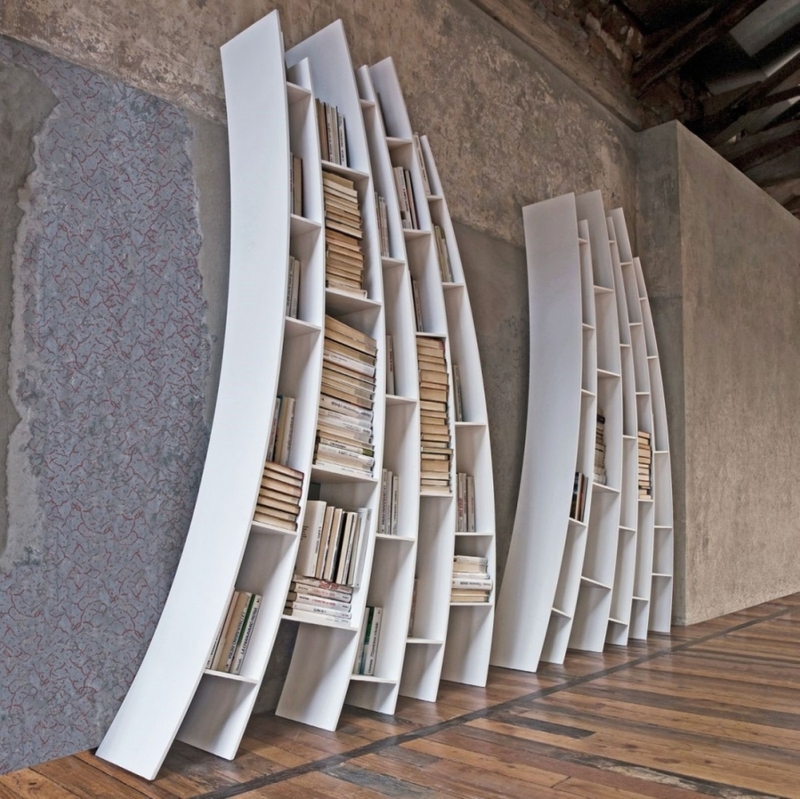 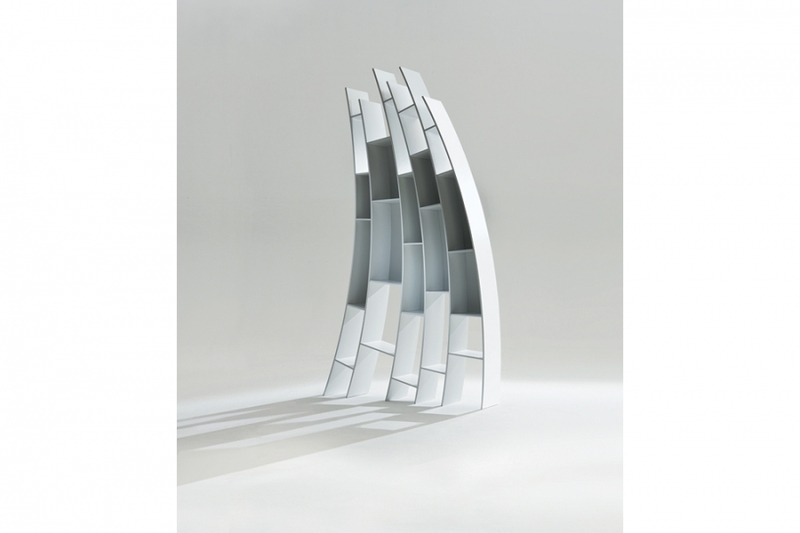 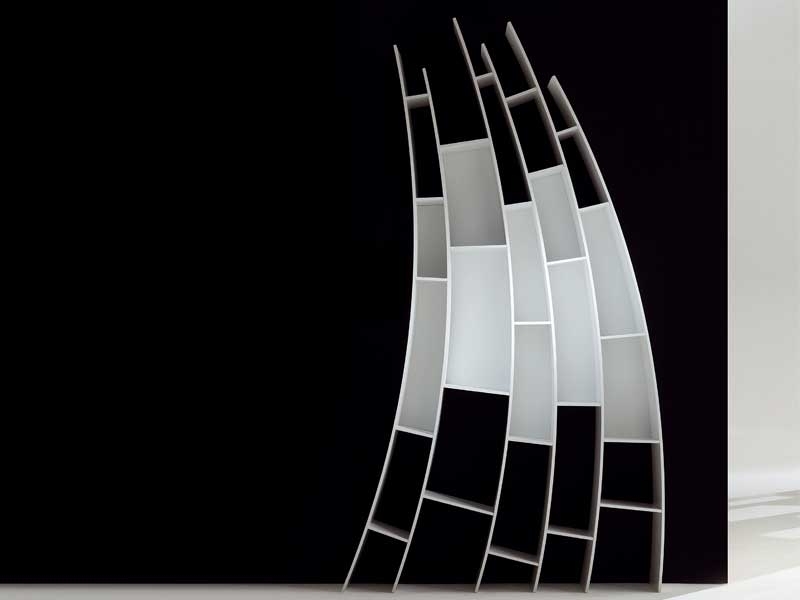 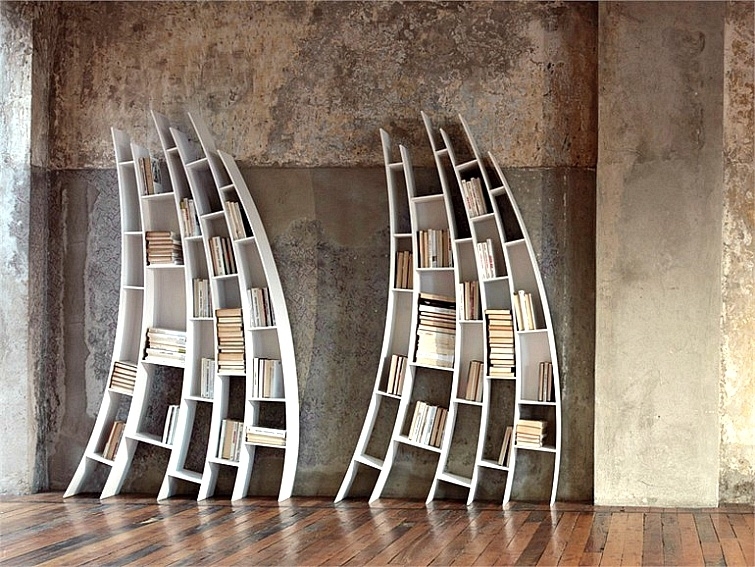 This light, stunning bookcase is arched rather like a waxing moon. 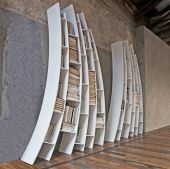 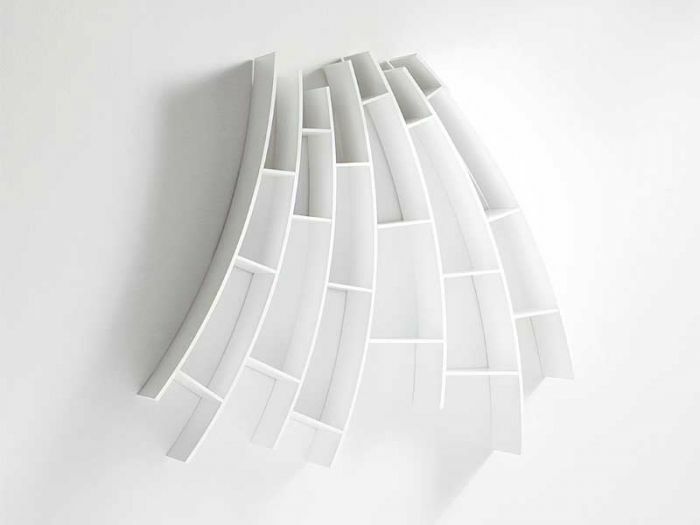 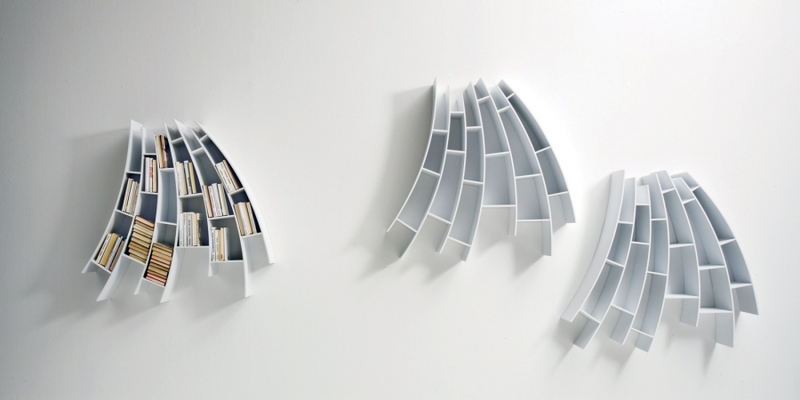 Functional and at the same time creating a strong decorative effect, it consists of slanting internal shelves and dividers that create a curved line, with a decidedly harmonious effect. 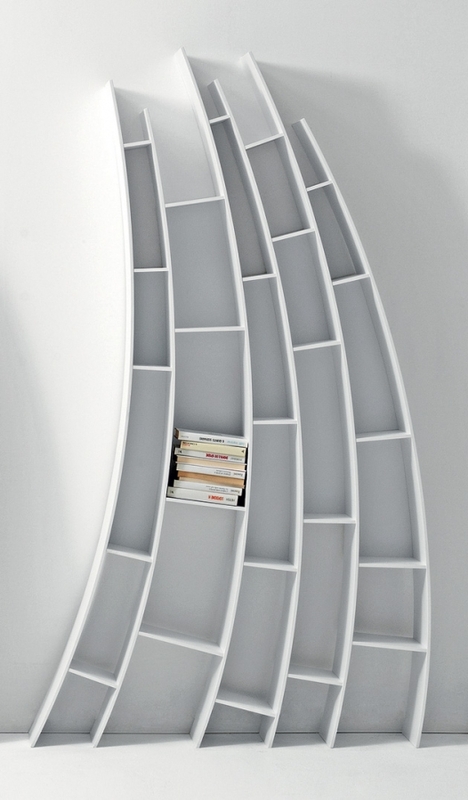 Material: mat white lacquered wood.